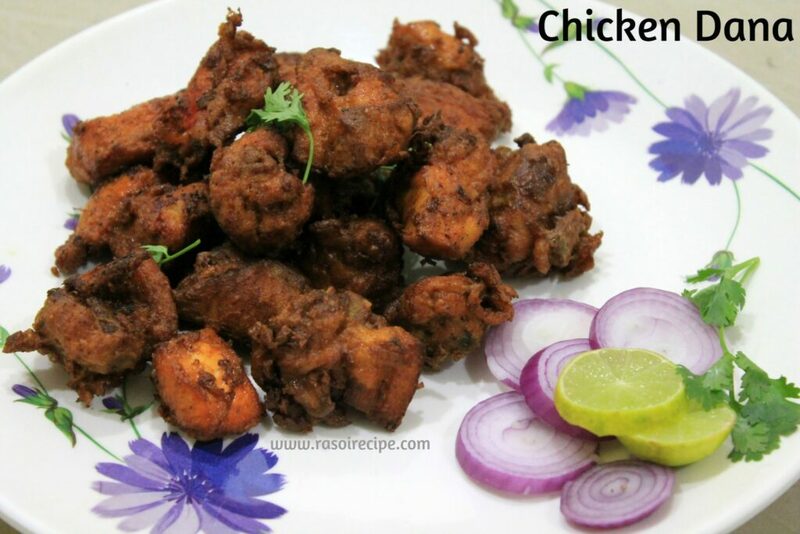 Today’s recipe is ‘Chicken Dana’. It is one of the favorite chicken snack recipe in my city. 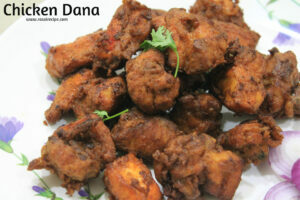 Chicken dana is tender fried chicken pieces which can be served as a side dish or as a snack. These chicken pieces are super juicy inside and crispy outside. 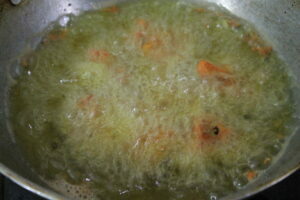 Serve it with Schezwan Sauce or green chutney or ketchup, that’s totally upto you. 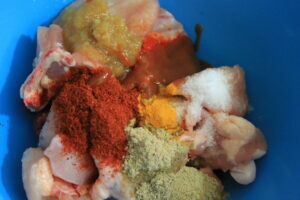 small chicken pieces (with bones or boneless), ginger-garlic paste, red chilli powder, turmeric powder, chaat powder, salt, lemon juice, jeera lavan powder, corn flour, red edible color and egg. 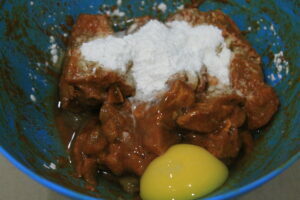 You can always prepare it in advance and referigerate it to use later. 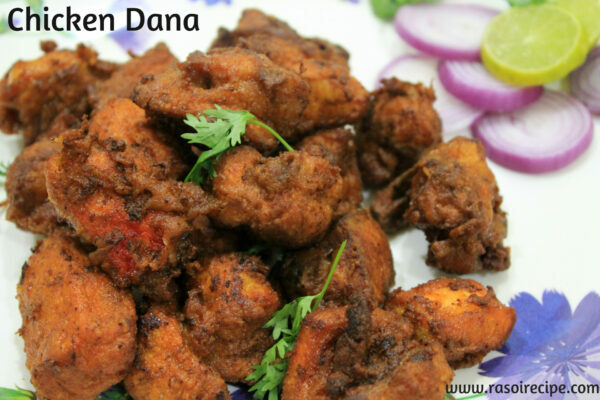 The best part is that the longer you keep the chicken pieces marinated in the above mentioned spices the better chicken dana tastes. 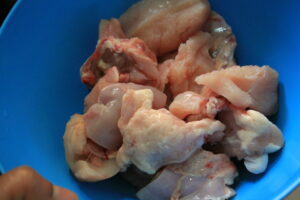 Juicy inside and crisp from outside chicken pieces - perfect snack and side dish recipe. 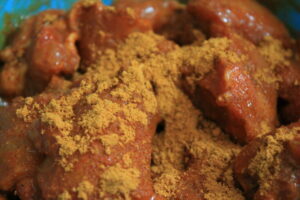 Add jeera lawan, in the marination. Mix well. This step is optional, you can skip this step, if you don't have jeera lawan available.